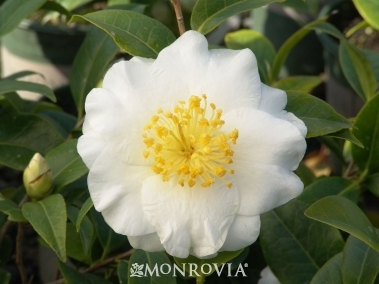 Abundant, large, silvery white blooms with yellow stamens make a delightful contrast to the glossy, dark green leaves. A valued plant in the milder regions of the U.S. Mid season bloomer. Evergreen.